This work introduces a new multimodal image dataset, with the aim of detecting the interplay between visual elements and semantic relations present in radiology images. 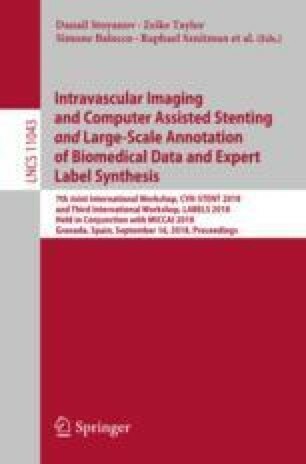 The objective is accomplished by retrieving all image-caption pairs from the open-access biomedical literature database PubMedCentral, as these captions describe the visual content in their semantic context. All compound, multi-pane, and non-radiology images were eliminated using an automatic binary classifier fine-tuned with a deep convolutional neural network system. Radiology Objects in COntext (ROCO) dataset contains over 81k radiology images with several medical imaging modalities including Computer Tomography, Ultrasound, X-Ray, Fluoroscopy, Positron Emission Tomography, Mammography, Magnetic Resonance Imaging, Angiography. All images in ROCO have corresponding caption, keywords, Unified Medical Language Systems Concept Unique Identifiers and Semantic Type. An out-of-class set with 6k images ranging from synthetic radiology figures to digital arts is provided, to improve prediction and classification performance. Adopting ROCO, systems for caption and keywords generation can be modeled, which allows multimodal representation for datasets lacking text representation. Systems with the goal of image structuring and semantic information tagging can be created using ROCO, which is beneficial and of assistance for image and information retrieval purposes.